Within the right safeguards, hydraulic fracturing can improve energy’s security of supply and reduce methane emissions, geophysicist Peter Styles tells Peter Cheney. He also thinks that many fears about fracking can be allayed by looking at the scientific evidence. 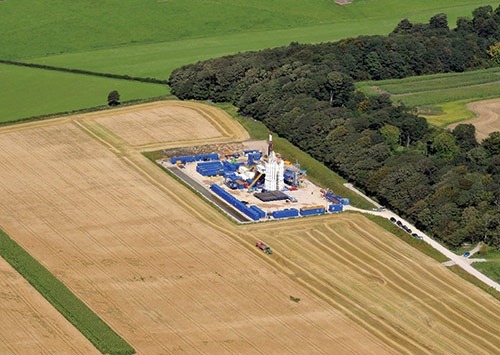 High carbon emissions, earthquakes and fires are three of the common objections raised by opponents of fracking but a geophysicist with 35 years’ experience says that each of those problems can be dealt with if the process is managed carefully. Peter Styles is the Professor of Applied and Environmental Geophysics at the University of Keele. 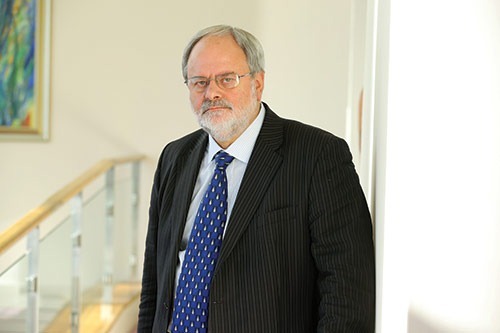 He co-authored the April 2012 report on seismicity induced by hydraulic fracturing in Britain, commissioned by the UK Department of Energy and Climate Change (DECC). The department’s final policy will have a strong influence on the Department of Enterprise, Trade and Investment’s approach in Northern Ireland. Where hydraulic fracturing is carried out properly, Styles explains, it can improve security of supply and help to reduce greenhouse gas emissions. It may also stabilise prices. “If we bring our gas from the Stockman field in Siberia, then we potentially bring it 5,000km through leaky pipelines,” he continues. “As those pipelines leak, they leak methane. Now, methane over a 20-year timescale is more than 70 times worse than CO2.” He therefore calculates that transporting that gas by pipeline carries a larger carbon footprint than consuming it at the end of the pipeline. Most European shales of current interest were deposited in the Carboniferous period. Canadian exploration company Tamboran estimates that the Carboniferous shales in counties Fermanagh and Leitrim contain 2.6 to 5.2 trillion cubic feet of recoverable gas; UK annual gas demand is equivalent to 5 trillion cubic feet. Sceptics frequently cite the risk of tremors, as the process opens up underground fractures in the rock. The level of induced seismicity depends on how much water is introduced, how fast it flows and the orientation of the stresses in the rock. Out of over 100,000 fracks carried out in the USA, though, very few have resulted in felt seismicity. Only two examples of fracking-related seismicity have been categorically proven: the magnitude 2.3 tremor in Blackpool (caused by Cuadrilla’s Preese Hall well) and a magnitude 3.0 tremor in the Horn River basin in British Columbia, Canada. As the Richter scale is logarithmic, 0.5 is 1,000 times less severe than earthquakes which are felt. Major earthquakes in the UK (up to magnitude 6) occur in much deeper and stronger rock formations, around 15km below the surface. A ‘red-yellow-green’ warning system proposed in the report has been accepted by Cuadrilla and was adopted in DECC’s final policy statement. Under this system, the operator would suspend operations and immediately ‘flow back’ if the magnitude of a single confirmed event is 0.5 or above. The operation should be abandoned if the magnitude reaches 1.5. The fluid, in any case, should not be allowed to sit in the fracture for long periods of time, as it may propagate further than planned and this may be the process which has stimulated the recent fault movement and small earthquakes observed in Blackpool. Gasland, a 2010 documentary on fracking in the USA, achieved fame among environmentalists by featuring a man in Pennsylvania setting his tap water on fire as it contained gas. The film was directed by Josh Fox, a strong critic of the practice. Fracking in the USA is allowed at a much shallower level than is permitted in the UK, where a minimum separation between fracking and the overlying aquifers of 2,000 feet is viewed as best practice. A cement casing is used to separate the well from potential underground water sources. Styles characterises the debate as a triangle. Fracking can be done economically and technically but the third and final ‘angle’ is whether the technology will be allowed to be rolled out. 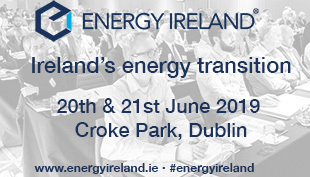 Addressing the Northern Ireland Energy Forum, he explained that around 200 fracturing operations have been conducted in the UK since it first took place in 1988. Sand is used as a ‘propping agent’ to keep the fractures open and he thinks that it is unlikely that other additives (to reduce the liquid’s viscosity) will be permitted to be used in the UK and Ireland.